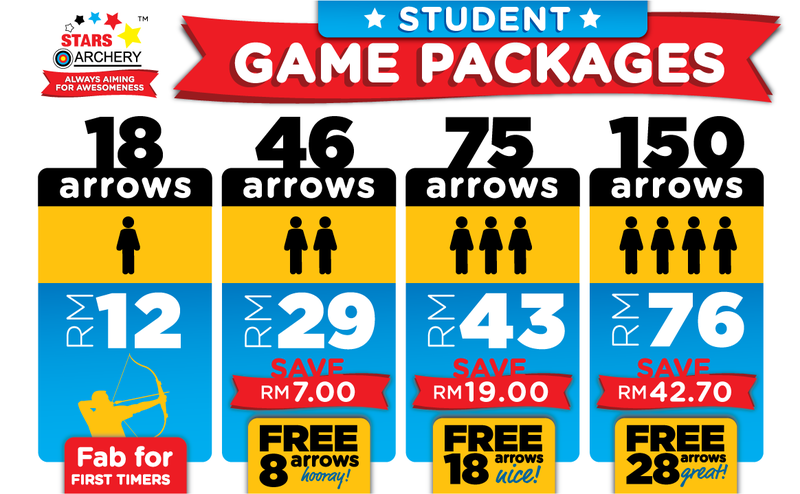 Includes FANTASTIC student prices, recurve & compound options & member prices ! 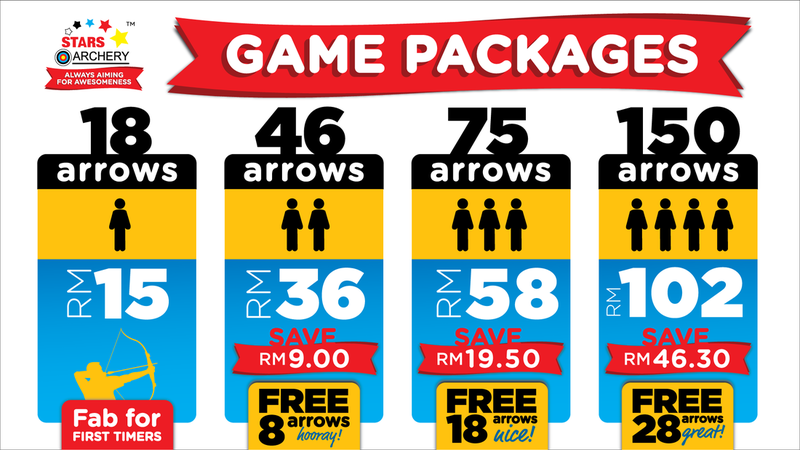 Remember to check out our LATEST Blowpipe / Sumpit game packages below too ! 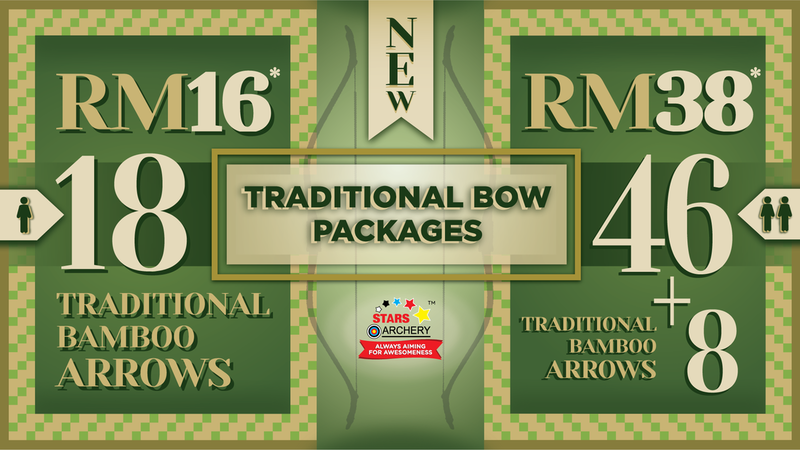 250 arrows shared by group of 7! 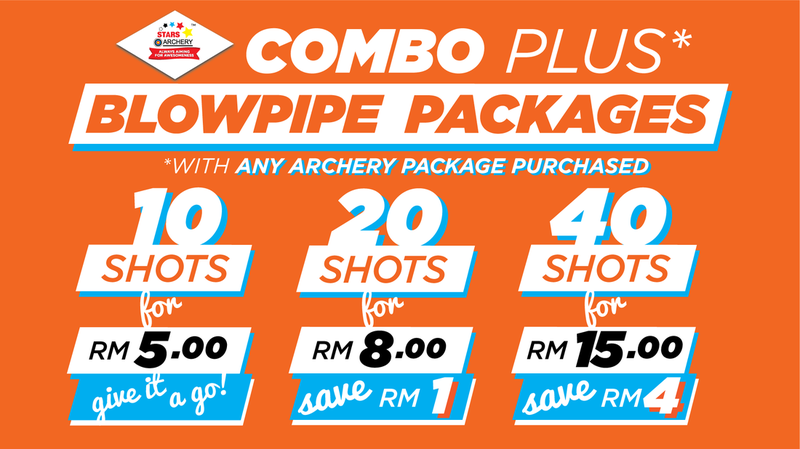 Archery + Blowpipe Combo Packages. 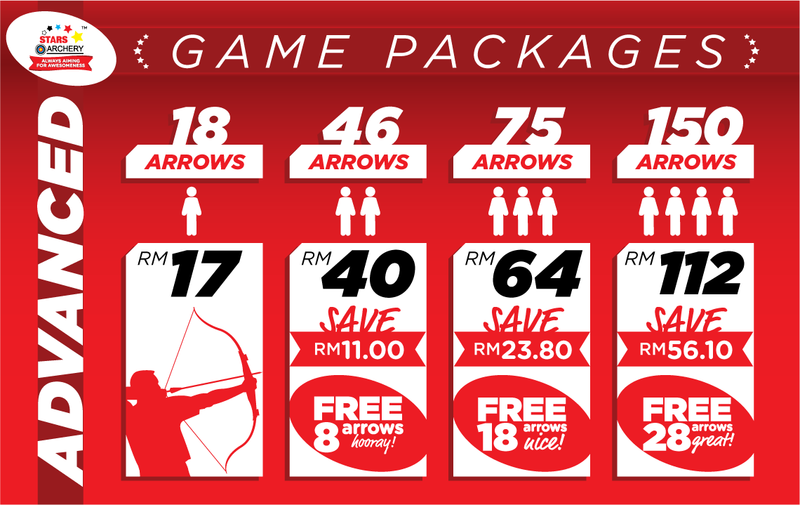 Bring Your Own Recurve Bow & arrows ! 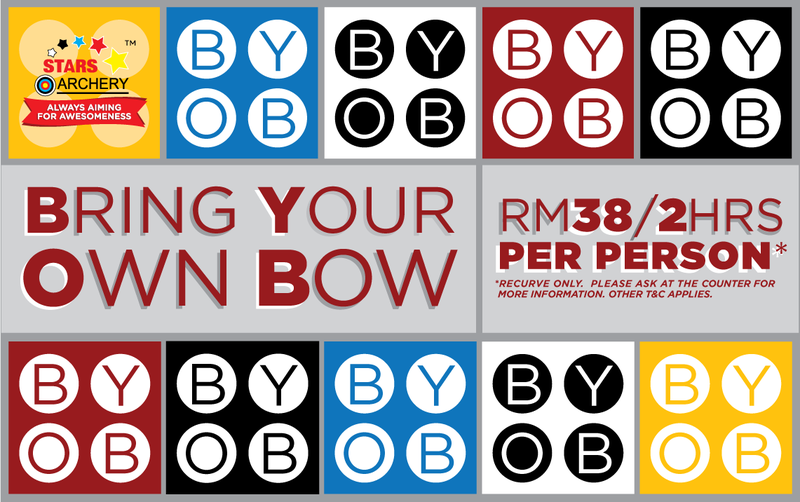 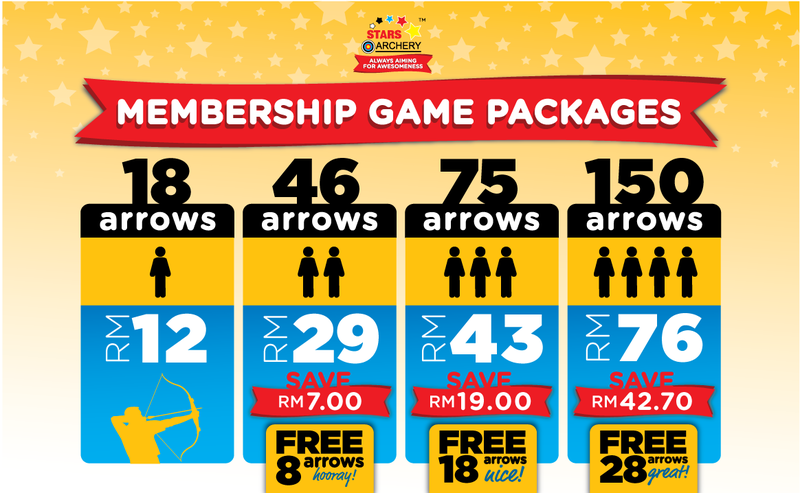 RM 38 for 2 hours per archer ! 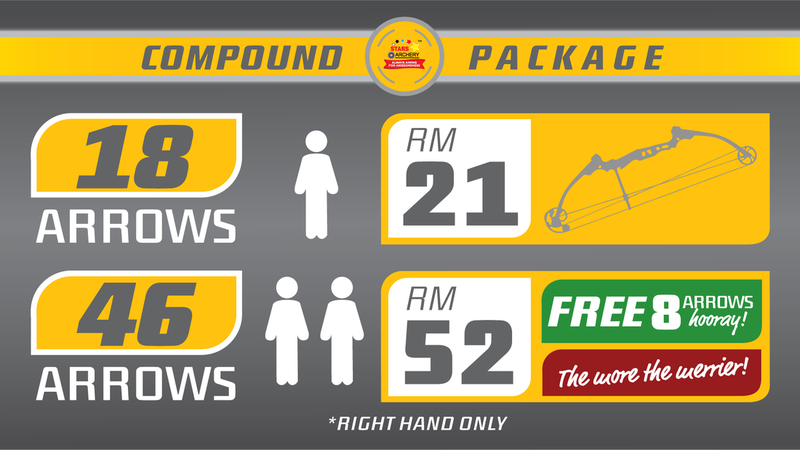 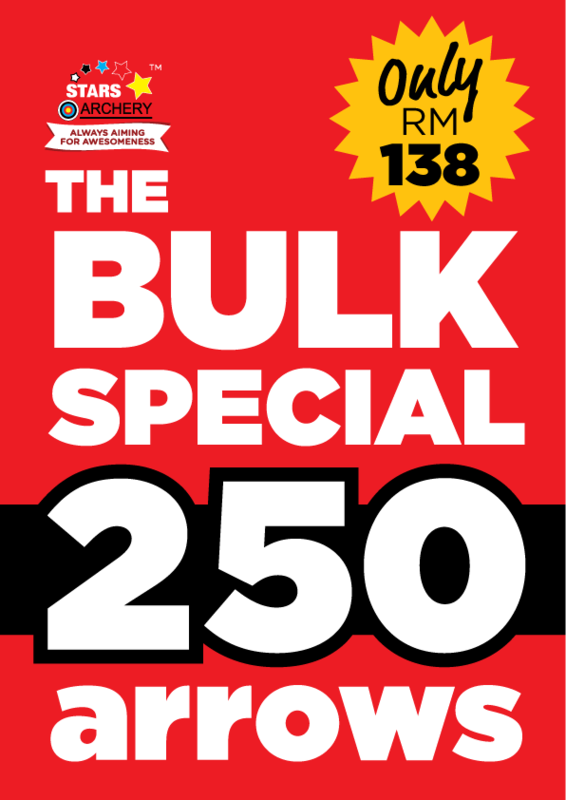 Not available at our Mahkota Parade outlet.